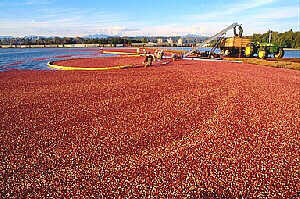 Bordered by the Fraser River, Surrey, Straits of Georgia, and the US/Canada border at Boundary Bay, this rich agricultural area is an important blueberry and cranberry growing region. Located at 4858 Delta Street in a 1912 heritage building the museum features local historical displays and period rooms. One of North America's major waterfowl habitats with more than 230 species of birds, the sanctuary is located at 5191 Robertson Road on the northern tip of Westham Island, west of Ladner. This 1905 Queen Anne style house is decorated in period furnishings and antiques. Langley is situated in a rich agricultural area on Carvolth Road and Hwy 10, south of Hwy 1. Derby Reach Regional Park: With one of the best fishing spots on the Fraser River, the park is located near Fort Langley off of 200 Street. This is the original Fort Langley and Derby town sites. Once a Hudson Bay Company Fort, this was the starting point for the Fraser River gold rush. Albion Ferry: This ferry crosses the Fraser River and connects Highway 1 on the south shore with Highway 7 on the north. Situated on the Fraser River, this park is located at 2343 Mavis Street. The Fort was a starting point for fur traders and gold seekers heading up the Fraser River.